The Brandix Group won a remarkable 11 awards including the Exporter of the Year award for 2014 and 2015 at the Presidential Export Awards last evening, taking the top honours at this prestigious event conducted by the Export Development Board (EDB). 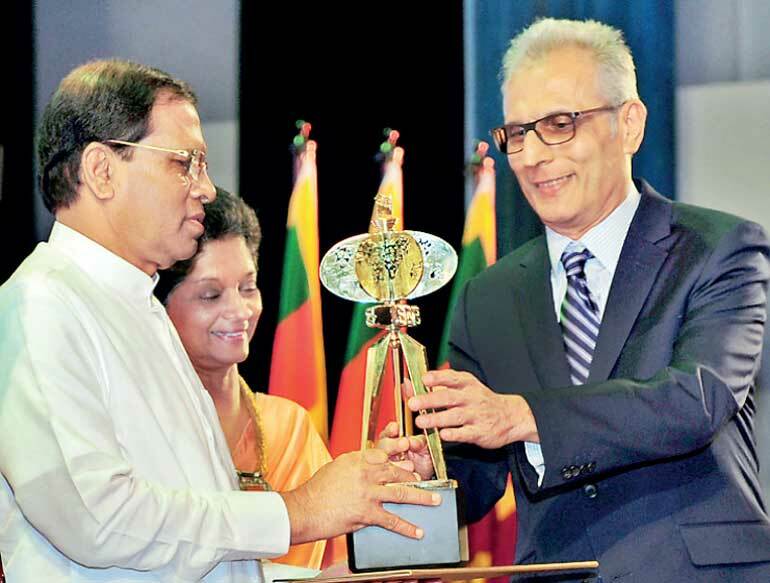 The awards presented by President Maithripala Sirisena at the BMICH recognise the contribution of Brandix to the national economy as the country’s largest exporter overall; as the Highest Net Foreign Exchange Earner in 2014 and 2015; the Highest Foreign Exchange Earner in the Apparel Sector in those two years; the Highest Employment Provider in the Export Industry in 2014 and 2015 and the Highest Value Added Exporter in the Apparel Sector last year. The Group also won the award for Excellence in Sustainable Development and the award for Highest Contributor from the Regions to the Export Supply Chain, both in respect of 2014. The two Exporter of the Year awards presented to the Group this year confirm Brandix as Sri Lanka’s top exporter across all industries for the past four years. In all, the Group has won 25 awards to date at the Presidential Export Awards. At the Presidential Export Awards presented in 2015, Brandix was recognised as the Sri Lankan Exporter of the Year in respect of 2012 and 2013, was adjudged the Best Exporter in the Apparel Sector in those two years, and was honoured with four Special Awards for being the Highest Net Foreign Exchange Earner and the Highest Employment Provider in the Export Industry in 2012 and 2013. Brandix was ranked Sri Lanka’s most valuable export brand in Brand Finance’s 2016 ranking of the country’s leading brands. The Group is the pioneer of the concept of ‘total solutions’ in Sri Lanka’s apparel sector and is a preferred supplier to some of the top retail brands in the US and Europe. Brandix is also a benchmark and international award winner for eco-friendly manufacture and commitment to environmental best practice.